I registered noblewines.com in 1999 with the concept of integrating all wine and food information into one platform. The dream was to have all the rules and cultural styles of wine regions in one spot and the same for food. My intension was to make it easy for someone to know the grapes and aging of Rioja or Châteauneuf-du-Pape and the regions boundaries as well as how to filet a Salmon, where each species of Salmon comes from and the culinary specifics of cooking each. Not only was this project VERY big, it wasn’t conceived with any practical business objectives in mind. The timing of the tech bubble collapse necessitated I put the dream on hold and use the web address as home for my wine industry consulting business. 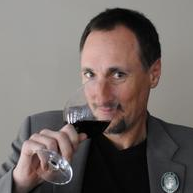 In 2007, as research for a business plan, I took a wine class at Stony Brook University. The Idea was to create an approachable version of Napa Valley Reserve based on the organizational structure of my private athletic club in Manhattan. Because private clubs such as the New York Athletic Club or the Royal Auto Mobile Club in London have enjoyed enduring success bringing people together around a single passion it seemed natural for there to be one dedicated to quality wine making with a more inclusive membership fee. Chris Miller, the primary instructor presented his professional level curriculum with a series of his maps explaining which grapes are best suited for certain places and the geology/climatology behind why. He also colored his teaching with economic theory and industry observations that inspired me to believe my idea could become more scalable by networking small vineyard owners. Such a network would create a platform large enough to interest professional marketers. I became excited about asking my customer acquisition clients to serve what is a worldwide community of small direct marketers. In 2009 Robert approached me about the prospect of digitizing my content as part of a marketing platform he wanted to call Vine Club. I shared with him my hopes for noblewines.com and by early 2010 partnership documents were in place bringing “noblewines.com” into our new company VineClub LLC.